Festivals and fairs are a staple of American fun, bringing anywhere from a few hundred to thousands of music lovers, beer drinkers or even pumpkin enthusiasts together. Whether the festival lasts for a few days or for a week or more, providing ample access to sanitation solutions for guests, volunteers and workers is key to ensuring an overall enjoyable event. 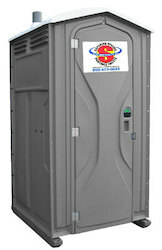 Superior Portable Services provides clean and well-maintained porta potties, shower trailers and restroom trailers for all types of festivals. We offer both standard and ADA handicap accessible units, and each unit comes equipped with hand sanitizer. 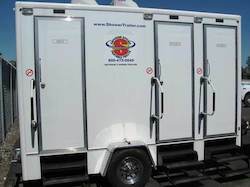 Our shower and restroom trailers have a variety of options, including hot and cold water, or heating and cooling capabilities. We can also provide convenient hand-washing stations for festival food areas. 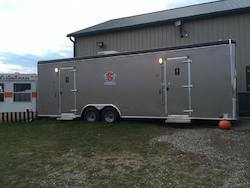 If you are planning a seasonal concert, fair or festival or are looking to provide extra facilities year-round at your concert venue or fairgrounds in Ohio, West Virginia, Pennsylvania, Indiana, Michigan or Kentucky, let us know. The small footprint of the Grand Luxury Three Station is perfect for your VIP or talent staging area while the basic Crowd Pleaser can handle up to 1000 guests a day. Our courteous associates are happy to help answer any questions. Contact us today to get started! 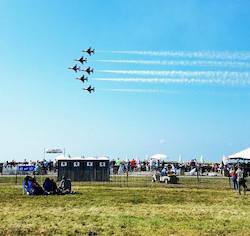 The Cleveland National Air Show is an annual air show held every Labor Day weekend at Cleveland’s Burke Lakefront Airport.